Ilya Yashin, a deputy head of the Russian opposition party Parnas, has presented a report on the situation in the Chechen republic and said he is determined to demand head of Chechnya Ramzan Kadyrov's dismissal. 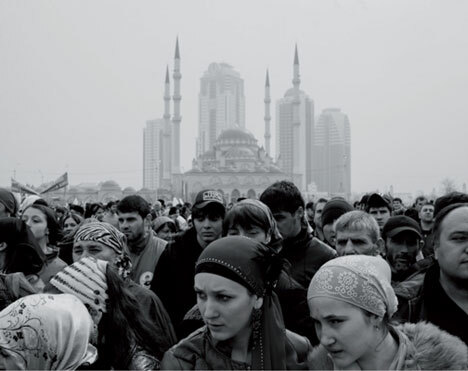 "In sum, Chechnya is a state within Russia that does not obey the country's laws. The main goal for me, Parnas, and the Democratic Coalition is to demand that Kadyrov be immediately dismissed and prosecuted in a number of serious criminal cases," Yashin said at the presentation of a report headlined 'A Threat to National Security' at Parnas's Moscow office on Feb. 23. The report claimed that "Ramzan Kadyrov's personal power and hands-on governance" dominates Chechnya. "All branches of government are under his control," Yashin said. The report also mentioned pressure on human rights activists and corruption in Chechnya. Yashin also claimed that "Chechen militants and personally Ramzan Kadyrov" are behind the killings of brothers Yamadayev and Boris Nemtsov." The report's presentation involved several incidents. Someone splashed the Parnas party's office building with red paint in the early hours of Feb. 23, a man threw a wad of fake U.S. dollars at Yashin at the start of the presentation, and another man shouted slogans in Kadyrov's defense. Police also demanded at some point that the people attending the presentation be evacuated as an anonymous caller had warned of a bomb planted in the building. Kadyrov himself had earlier posted Yashin's report on his social networking account, saying that the document "contains nothing but idle talk." "I express my attitude toward this one-man show by disseminating this piece of work myself," the Chechen leader said.